Saturday open thread: Who will be the key Lions player vs. Packers? Which Detroit Lions player holds the key to victory on Monday night? They always say that in the NFL the most important game is the next one, but for the Detroit Lions, that rings especially true this week. Detroit is just 3-4 and in danger of falling three games behind the division-leading Minnesota Vikings, despite defeated the Vikes just a few weeks ago. A win would push the Lions just two games behind Minnesota with a huge Thanksgiving matchup looming a couple weeks away between the two teams. My answer: While I think the answer could almost always be Matthew Stafford, I’m going to try and dig a little deeper this week. 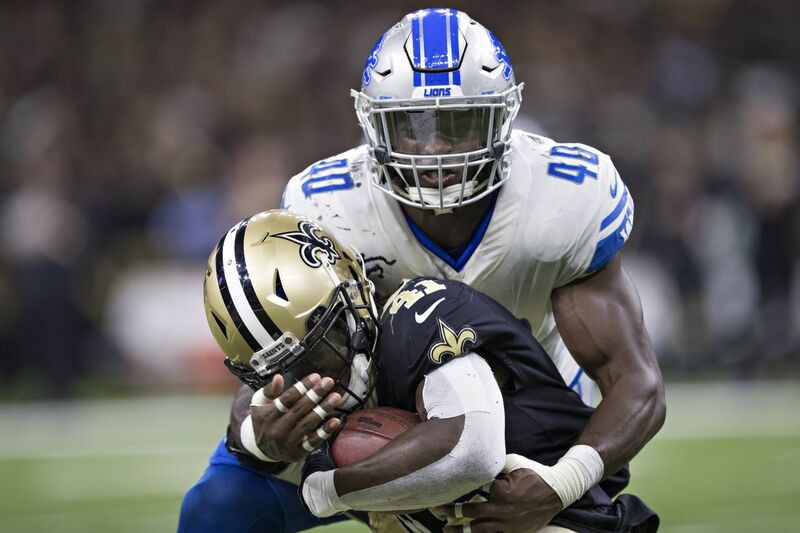 I think the biggest key to a Lions victory will be rookie linebacker Jarrad Davis. With Brett Hundley struggling and rookie Aaron Jones looking impressive as the lead back, I think the Packers are going to try and establish the run and pound the rock for all four quarters against the Lions defense. Davis is going to be one of the key players to stop the Packers from establishing the run, along with defensive tackle A’Shawn Robinson and strong safety Tavon Wilson. But it will ultimately come down to Davis, the quarterback of the defense. He’ll have to adjust on the fly. He’ll have to make sure Detroit isn’t over-committing. And he’ll have to make sure he, and his fellow linebackers, are assuming the right gaps and finishing their tackles. If Jarrad Davis has a good game on Monday, I’m confident the Lions will win.